I tell you if it is not one thing it is another and when the devil is busy trying to get in my way he really does pull out all of the stops. 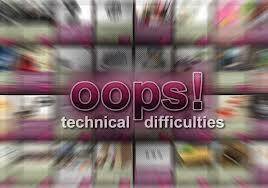 So week one and two for me was plagued with technical difficulties that would just hit one by one, back to back. Last week, while the week started off rather strong with a fair amount of productivity, I had a physical injury that kind of left me unable to sit up and type or write anything. I was in so much pain that it almost brought me to tears to even try and move to do anything. That physiccal injury has unfortunately carried over into this week and although I am trying to ignore the physical injury it is very hard to pretend I am not hindered by it. It just would seem that there are mini obstacles stacking up in my path like mountains trying to keep me from moving forward. I am pushing through and while my goal will more than likely not be met by the end of November, I will take comfort in the fact that I didn’t (like last year) just completely throw in the towel and say the hell with it and just stop even trying. Last year was a bad year for me creatively and this year has not exactly proved to be much better but I am going to make the best of the rest of the days left in this year and kick 2015 off with these two projects that I’ve been taking on during NaNoWriMo and use them as my positive start for next year. 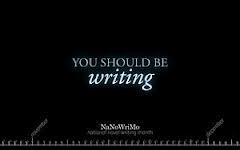 Well back to my writing cave I go, hope all of you who are participating in NaNoWriMo are doing well. So to say that my NaNoWriMo plans aren’t coming along as productively as I had hoped would be an understatement. I had planned on finishing up two of my book projects that I had been previously stalled on. Now while I have truly put forth honest effort, and have honestly been plagued with multiple back to bak technical issues concerning my computer and what I use to actually write, I can’t lie and say that I haven’t been hit with the procrastination bug. When I got hit with technical difficulty number one I was discouraged and then with the next couple of technical difficulties I had I just felt like giving up on doing it altogether. Now of course I have not given up on either of my projects but I totally underestimated just how difficult it would be to jump back into my novel and as for the nonficiton self-help book, well I’ve been working more so on that but nonfiction is never easy. I don’t know why it seems I can’t produce anything lately but it is really frustrating to have a lot of ideas that you need to get out but still can’t seem to put them down on paper. However, November is not over and I am not throwing in the towel on my projects. Whether I finish both projects by the end of November or not, one thing is for sure, it got me started on the projects again. I also have to remember that this could be a great kick-off for my 2015 plans. So how have you been doing in your writing this November? Have all your plans been working out the way that you wanted them to? So last week was really rough, at least in the writing part of my life. As most of you know I am attempting to do dual projects this November for National Novel Writing Month. I posted last week about me getting off to a rocky start and after I posted that (maybe the very next day) my rocky start turned into a complete halt. For some unknown reason my Microsoft Word program, in which I use to actually write (blog posts, novels, articles, etc.) just stopped working. Seriously every time I tried to save it would shut down automatically, then it started to just shut down when I tried to type, and then Microsoft Word just wouldn’t even open anymore. I was in writer’s hell (if there is one) and I could’ve literally cried because I felt like the control of whether I wanted to actually write or not was taken from me. Now for my non-fiction (self-help) book that I am working on I could still manage to get some work done as far as research goes but when it came time for me to sit down and get back into my fiction novel (in which I was fully prepared to do) the program simply would not work. I don’t know how I got it working again for me to be able to type this blog post but of course I am hoping to be able to get quite a bit of work done this week to make up for the days that I was not able to last week. I am wondering if there is anyone out there who has been in the middle of a project and had their programs just completely shut down on them? I have a lot of lost time to make up for but I will try to still keep up with you guys while I am recovering from my program failure. Hope all of you are being productive and writing your hearts out! So as most of you know National Novel Writing Month started this past Saturday and we are already at day 5. I will admit that I thought that since I decided to take on the task of finishing up two projects that had already been started that I would have a bit of an easier time beginning this NaNoWriMo challenge. Sadly, nothing has been further from the truth. I think the first sign of trouble that I had was the fact that NaNoWriMo was beginning during a weekend which is typically the time during the week in which I opt not to write. The weekend is normally when I like to relax, catch up on TV (which fuels my creativity even more), and do more reading for pleasure then actual writing or research. And while I did manage to write a little on my non-fiction (self-help) book and I tried to re-familiarize myself with my novel, I definitely did not get any real numbers stacked towards my end goal. The second issue is also that with my fiction novel, I haven’t touched it in quite some time and while I have been re-familiarizing myself with it, it’s not that easy to just jump back in it. 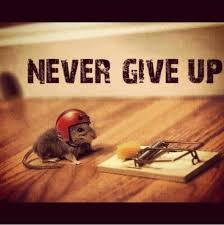 Nevertheless I am not going to give up and I am ready to really get underway on these projects. I completely underestimated how hard it is to re-start a project, let alone two. I would almost be willing to say that it is harder to re-start a project then to just start a brand new one. But I went into this NaNoWriMo knowing that my goal was not necessarily the 50,000 word goal that they traditionally set for participants but rather to complete these two projects, or at the very least, be closer to finishing by the end of November. So that does help take some of the pressure off of me because my goal is different than most people doing NaNoWriMo. I hope that any of you who are participating are having an easier start than I am and hopefully you will leave a comment here and let me know how your project(s) are going. Happy writing everyone!